Located in Frankfurt, Germany, Frankfurt Airport is a major international airport that is run by transport company Fraport. 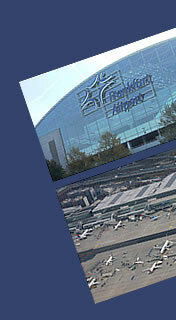 This airport is the third busiest airport in Europe, and the busiest airport in Germany. 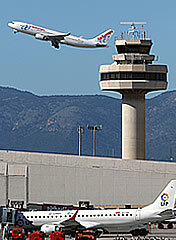 The airport is the main hub for Germany’s flag-carrier Lufthansa as well as Condor Flugdienst. Due to the fact that this airport is located in Germany’s second-largest metropolitan area, it serves as an important transportation hub for a quite expansive region. From the airport it will take you less than two hours to get to Cologne, the Ruhr Area and Stuttgart travelling over ground. Since 1936 this airport has been transformed several times and it now boasts of two large terminals as well as four runways. These terminals can receive a capacity of approximately 58 million passengers yearly. Terminal 1 was first opened in 1972 and its functionality was divided into three sections i.e. the departures level on the upper deck with check-in counters, the arrival level that contains baggage claim areas, and underneath, a distribution level. Terminal 2 was opened in 1994 and it features gate areas D and E. It consists of eight gates with jet ways and 34 stands, thus making a total of 42 gates. The final terminal is known as the Lufthansa first class terminal, and which is exclusively used by the first class passengers of Lufthansa flights. Other passengers that may use this terminal include those flying as Lufthansa’s Miles & More HON Circle members. Plans are underway to construct a new terminal, Terminal 3. It is estimated that this terminal will accommodate up to 25 million passengers, in addition to featuring 75 new aircraft positions. There are various services that are available at Frankfurt airport and these include medical services, bathroom and showers facilities, banks, a visitors’ terrace, prayer rooms and a chapel, VIP services, and dry cleaning services, just to name but a few.